How often we hear these words, especially when kids back from school. Yes, a very common issue for most of young mothers, including me and how to make an after school snacks especially during tired lazy days. 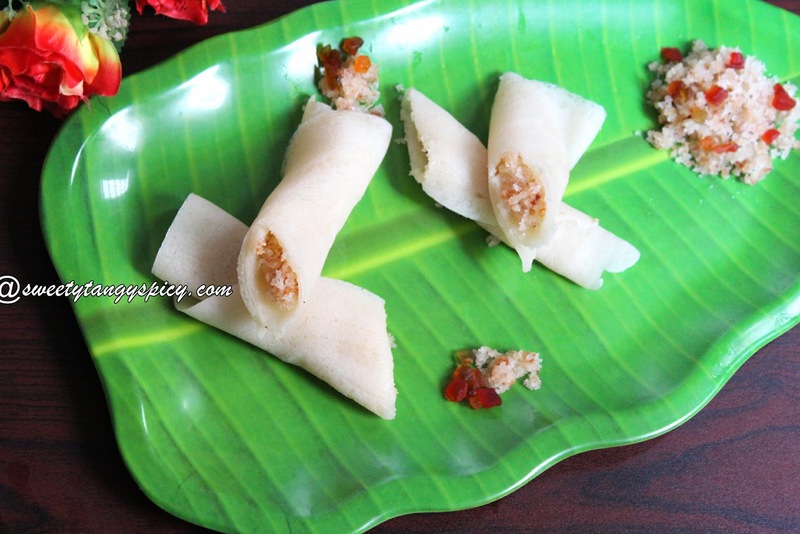 This is one such easy dish which your kid will surely love. 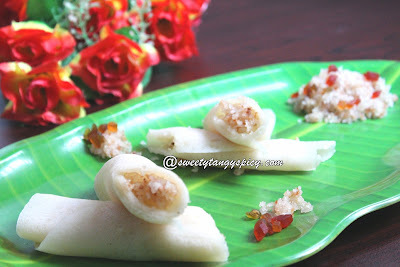 Being a busy working woman, my mom used to make this for us during our school days. We, kids really enjoyed this dish those days, and nowadays my kids too. 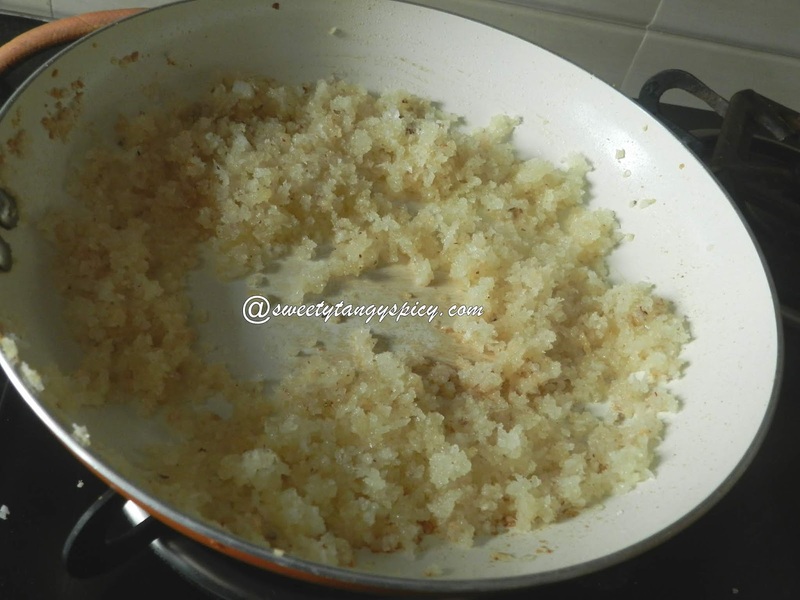 All the ingredients of this simple and easy dish is very familiar in our day-to-day life. The well flavored and caramelized coconut filling is rolled in nice pancakes. Really enjoyable, try and share your feedback. 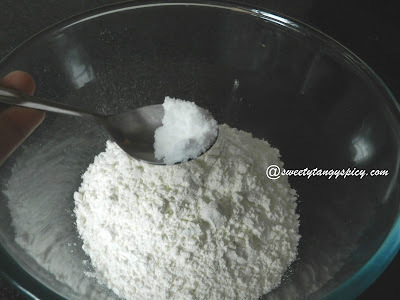 Take all purpose flour (maida) and salt in a bowl. 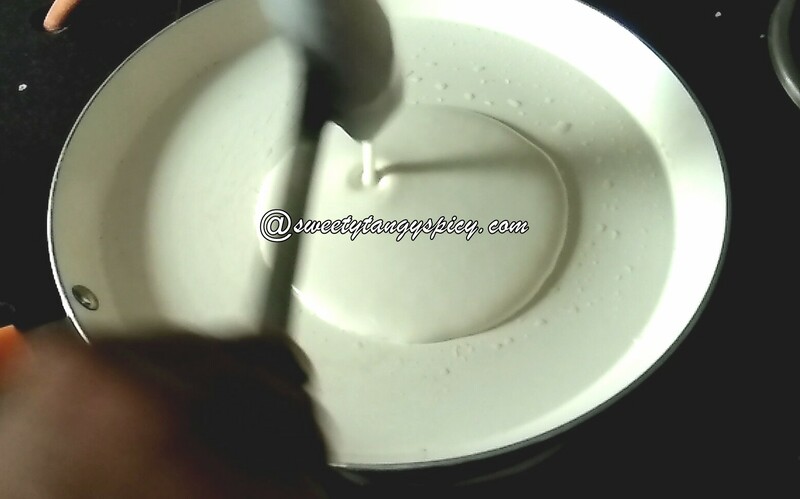 Add water slowly and mix well unless you get a smooth batter with flowing consistency just as we do for dosas. It should be in medium consistency and should be lumps free. 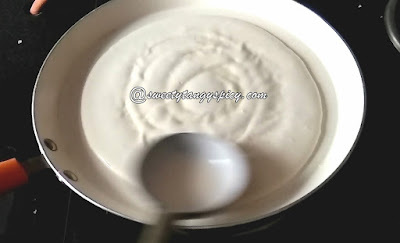 If you feel any difficulty in making a smooth lump free batter, just pulse in a mixer grinder, your batter will be ready. Keep it covered for some time while you prepare the filling. 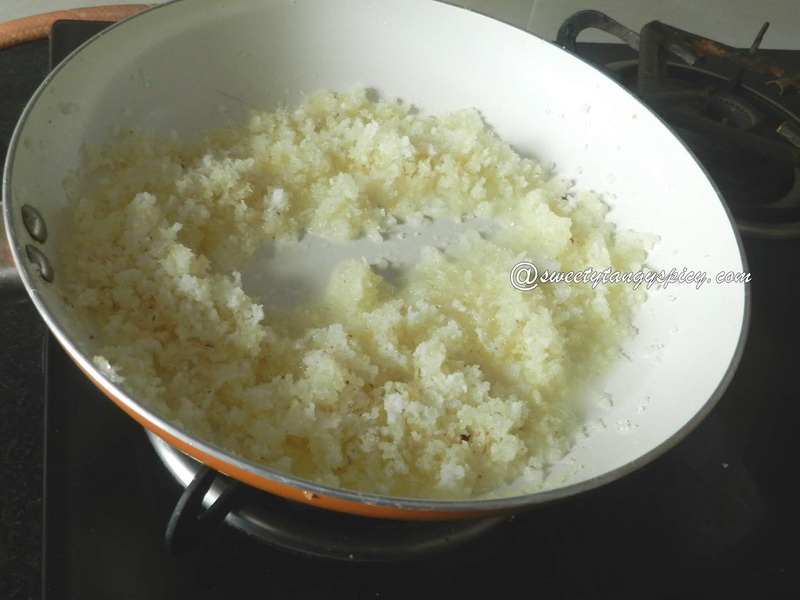 Heat a pan on medium flame and pour 2 tbsp of ghee. 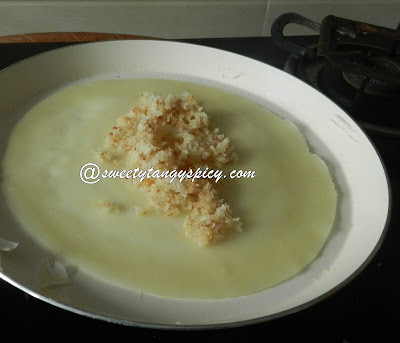 Wait till the ghee melts. Once the ghee melts, you can put grated coconut and sugar. 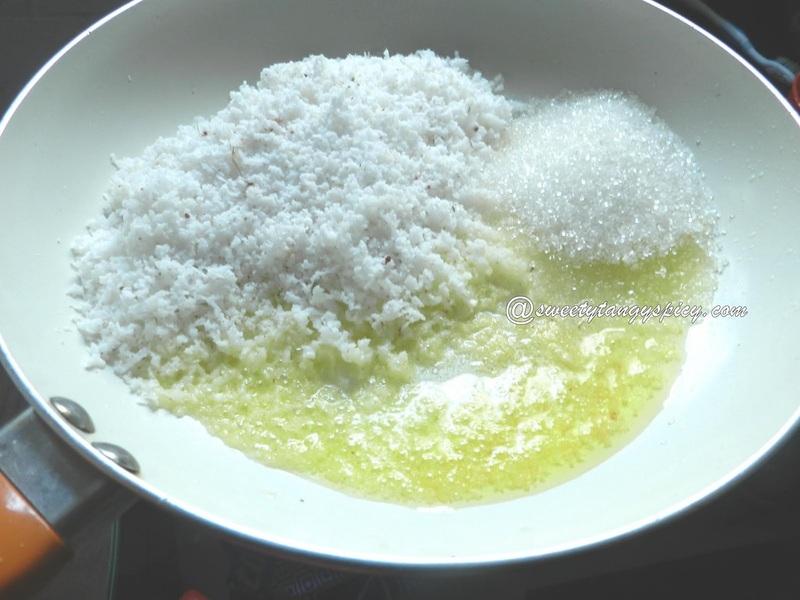 Mix well till the sugar melts and coat the coconut. 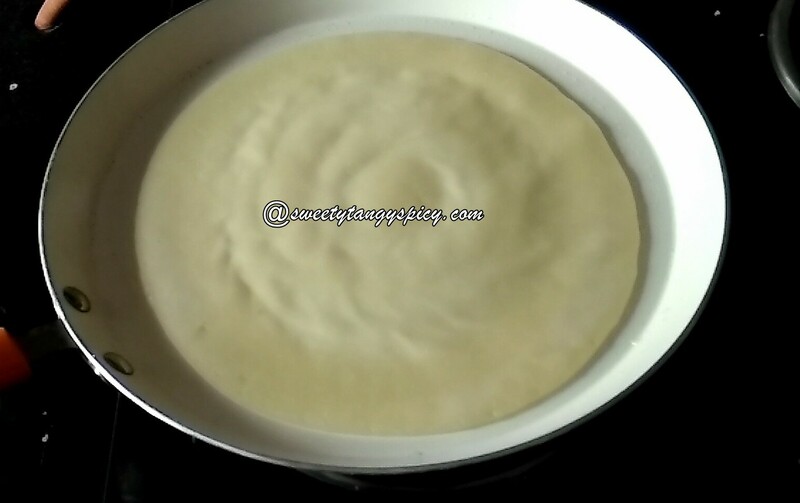 Put 2 tablespoons of water, just enough to keep the filling moist. Do not pour too much water. This much water will be enough to cook the coconut. 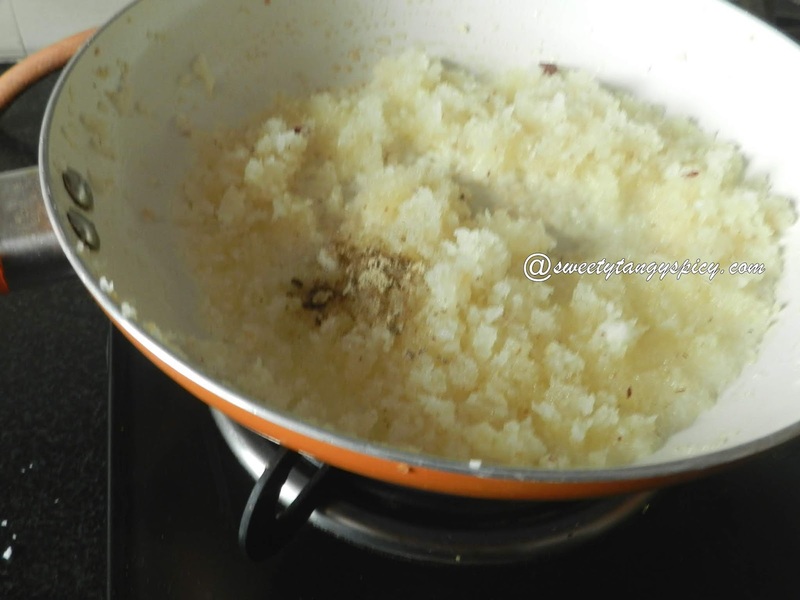 Let it cook in water for a few minutes till the raw smell of coconut vanishes and water evaporates. Finally, season with a pinch of cardamom powder and mix well. 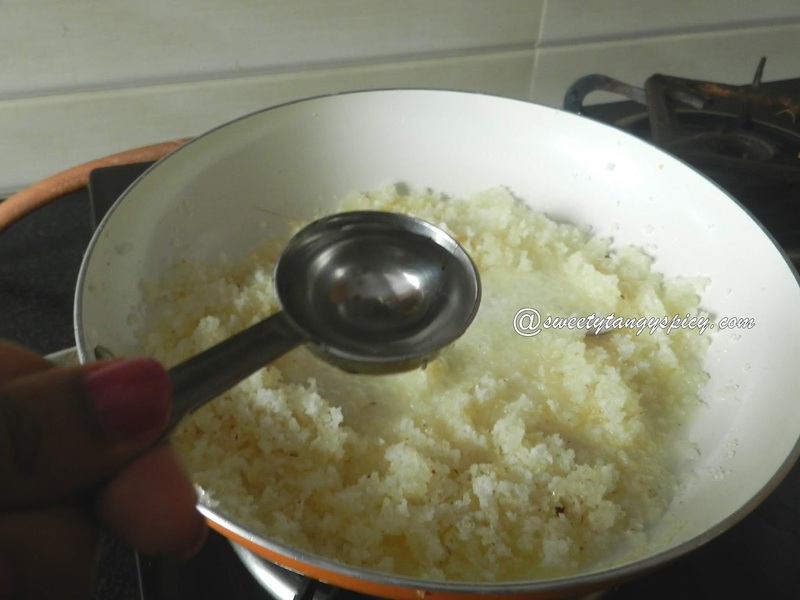 Switch off the flame and transfer into another bowl so that no further browning occurs due to the heat of the pan. The stuffing is ready. Heat a pan or dosa kallu over medium heat. Once hot, grease with some oil or ghee. 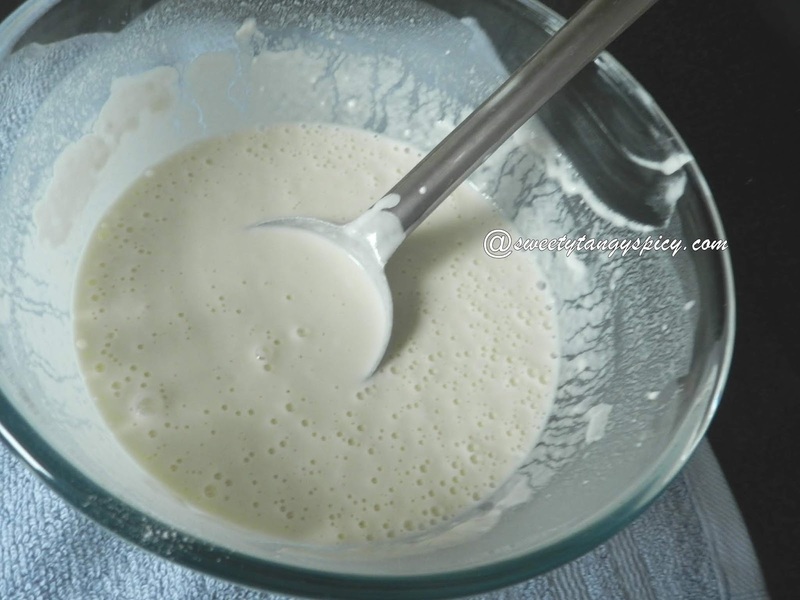 Pour one spoon full of batter. 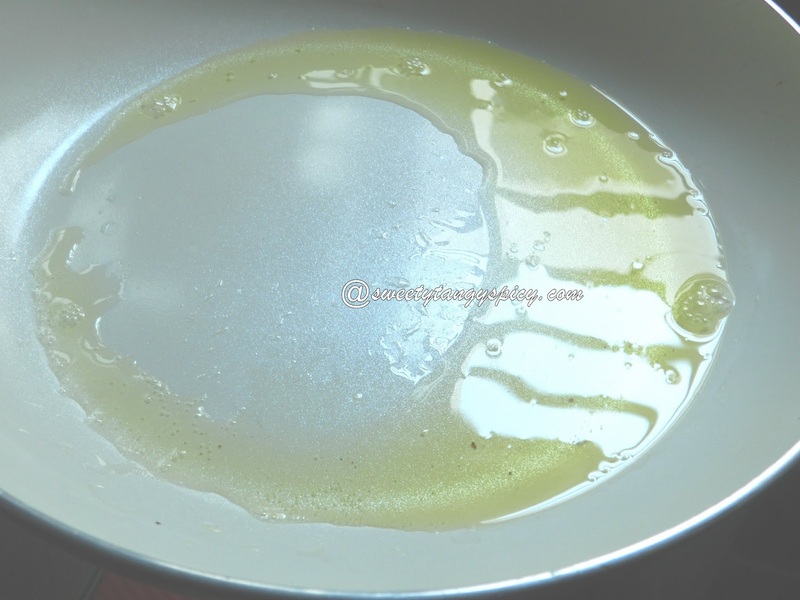 Note :Make sure the pan is hot before you pour the batter. 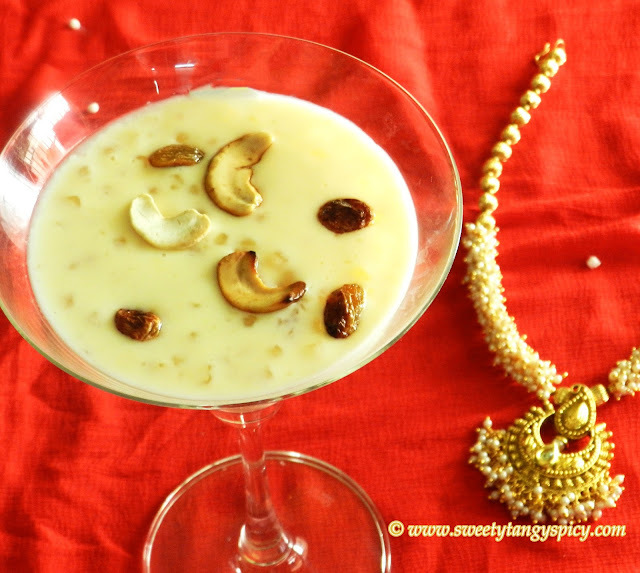 Spread towards outside by rotating the spoon towards outside. Wait till the pancake cooked completely. The whitish color will blur and a yellow tinge will come. This is the time to put one or two tablespoons of fillings in the center. Just fold from both sides towards the center. 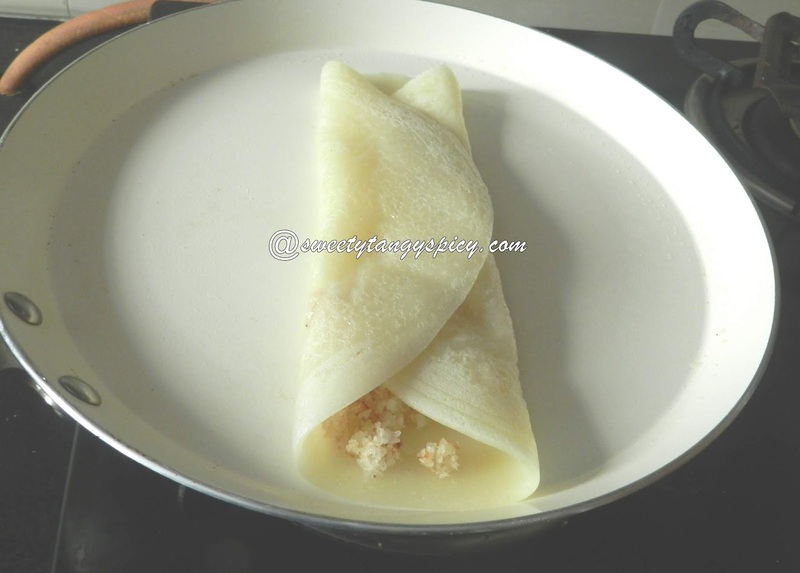 Note: You can roll the pancakes, in that case, keep the filling at one edge and roll slowly and tightly towards the opposite side.